Setup Creator – MSI to EXE software helps to generate exe files (executable file) from MSI file format. 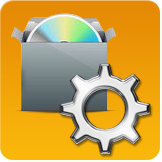 Setup builder program provides facility to convert MSI installation setup package to equivalent exe format simplified manner. Setup Creator Software provides solution to create customized software setup installation wizard to deploy your Windows application over internet. Setup builder program generates compact size, software setup installation package which takes less memory space, less turnaround time to install and easily applicable while distributing Windows application program to the end users.